It seems fitting that this is the post to celebrate my five years of blogging! I never dreamed on June 22, 2007 when I created Memsaabstory that it would become such a big part of my life and be the catalyst for so much learning and so many wonderful and rewarding friendships. I never dreamed that people would embrace the insanity that leads me to do things like this and this and this (and this, okay I’m stopping now), and I certainly had no idea how generously people would share their treasures with me. This is one such gift. Miss Frontier Mail is utterly charming, made with the usual Wadia enthusiasm and attention to loony detail. The “Indian Pearl White” is certainly the focus, but she is more than ably supported by gangsters who balk at being dastardly, a fearsome spy-movie “Boss” precursor and his go-getter female assistant, futuristic gadgets, thrilling fights and chases, a banana-loving buffoon and so much more. It often feels very much like a silent movie, starting off with only music and no dialogue until seven or eight minutes in; title pages are interspersed throughout, the acting is exaggerated, and you can often hear the camera whirring. Like the Frontier Mail train itself, it picks up speed quickly and we’re off on a rollicking good ride as Fearless Nadia battles comic-book villains between dainty sips of tea in her fabulous Art Deco house. It is a literal and figurative rush of trains, motorcars, motorcycles and even an airplane! 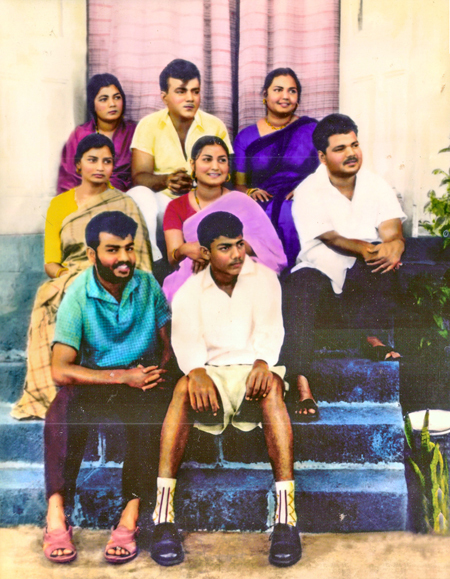 Apparently “Jaani” was not just mysteriously charismatic in his films, but an enigma off screen as well, and gleefully so! I had promised someone a while ago that I would publish this interview, which appeared in the June 1972 issue of Stardust magazine. 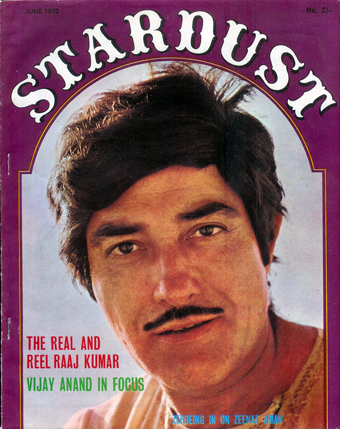 I find Raaj Kumar very intriguing as well and enjoyed reading this somewhat fawning piece on him by Uma Rao, who was clearly awed as much by his magnetism in person as I am when I see him on screen. He comes across to me somewhat like a cat playing with a little star-struck mouse. I’m working on more film posts but work is very busy these days—use my radio silence as an opportunity to get to know this actor slightly better (via the pdf file below). Enjoy!